As I annually go back to share the gospel in Congo DRC, I often find myself in some areas of that nation, where there simply is no electricity. The people in these areas use salt to preserve many of their food items and, like people around the world, also use salt to spice their food. People in that part of the world also find ways of making light so they would have this much-needed element in life. During my trip in 2013, I spent a few days training leaders in a small southern town where it was common, at night, to see families gathered around a fire made with wood logs, sharing their stories. Salt and light, in Congo, like in the US and everywhere, are indispensable for life. 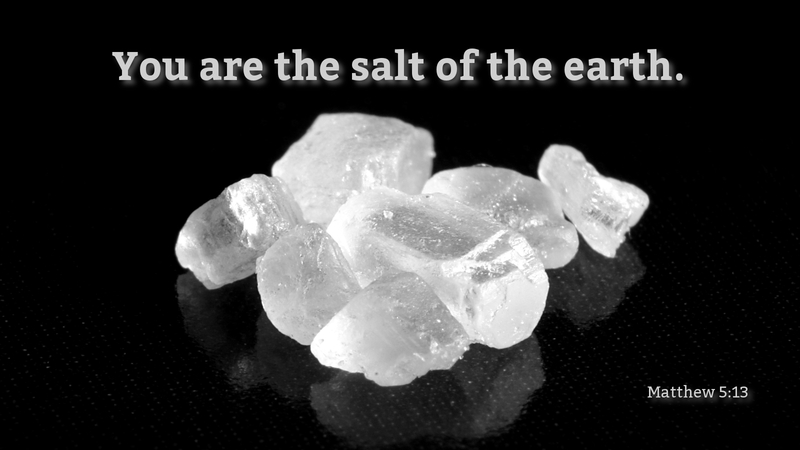 The Lord Jesus Christ lets his disciples know that they are salt and light of the world. Being salt and light is part of what it means to be true followers of Christ. In word and deed, Christians can be the indispensable salt and light that allow others to meet Jesus Christ, and believe in him who is the way, the truth, and the life, and receive his gift of eternal life. Prayer: Lord Jesus Christ, you who have called me to follow you, help me to be the salt and the light that lead others to you. Amen.